Howard Webb provided this advertising card published by Wakefield of Brentford, showing the Beehive Hotel at 227 High Street with Half Acre to the left. The proprietor's name is W. Shotter. 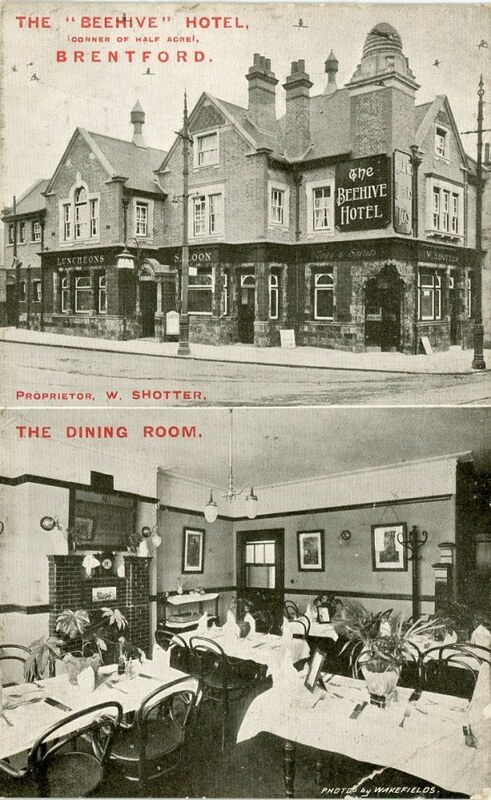 A 1907 trade directory shows William Shotter at the Beehive, he must have been the first landlord after the pub was rebuilt (to a design by Nowell Parr) that year and it seems likely the advertising card was produced around this date.